This corned beef grilled cheese sandwich is so gooey and delicious that you will be more excited about leftovers than you are about the main dish this St. Patrick's Day. 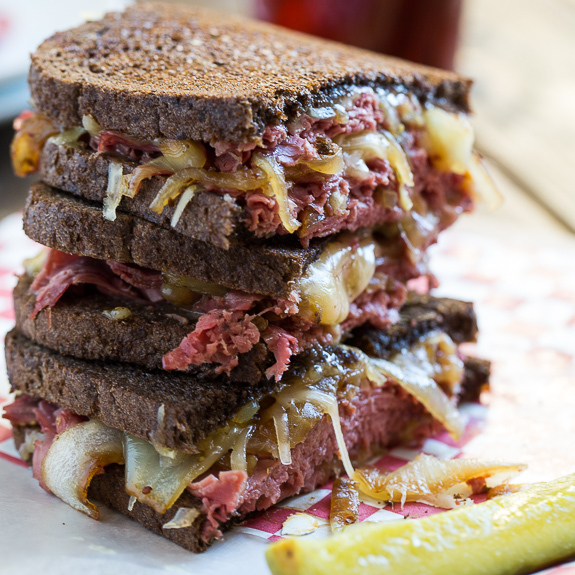 Corned beef is salty and tart, and it pairs well with marbled rye and Jarlsberg cheese. What makes this one off the charts is the addition of rich, browned onions that have been cooked in beer. Yes, beer. It's a sandwich made in heaven on a plate. So delicious!